Of the 52 properties which make up the Las Higueras community only eight of them are large two storey four bedroom villas. This particular example is located in a unique position on the West edge of Las Higueras with easy access to all amenites which are located in the centre of La Manga Club. The villa has been skilfully and cleverly redesigned to create a stunning property. This major refurbishment has included upgraded kitchen, bathrooms, part underfloor heating and many extra features. 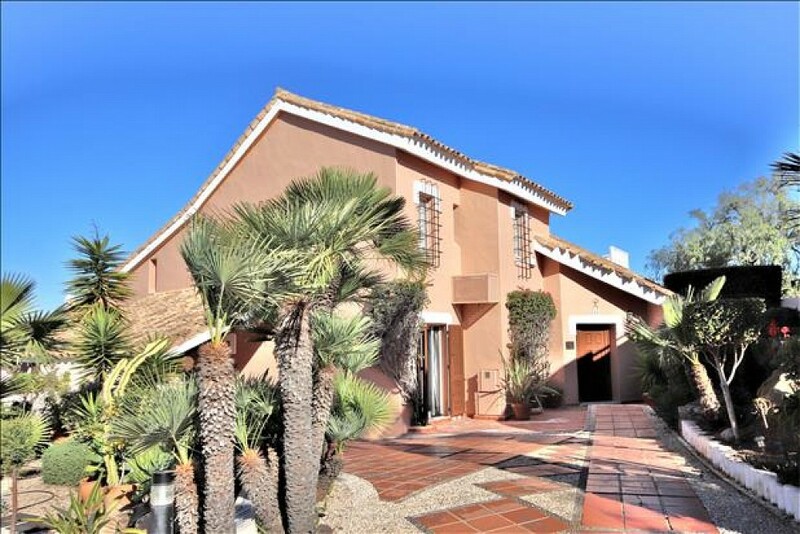 The roof terrace has views to the sea and, due to the enviable location this villa also has its own driveway with ample parking space for the owners and their guests. As with all the Las Higueras properties the villa has its own private swimming pool, terrace and garden which is looked after throughout the year by the community. For this exceptional villa the pool terrace is enhanced by the addition of an outside kitchen area which is invaluable for those long balmy barbeque evenings.